SoundRec Studios is a 180m2 facility located in the heart of Buenos Aires, Argentina, containing two recording and mixing suites as well as sound support production rooms. SoundRec features one recording studio with variable acoustics and a film mixing theater room with Dolby Surround certification and two audio port suites. The facility serves the music community and the film industry. 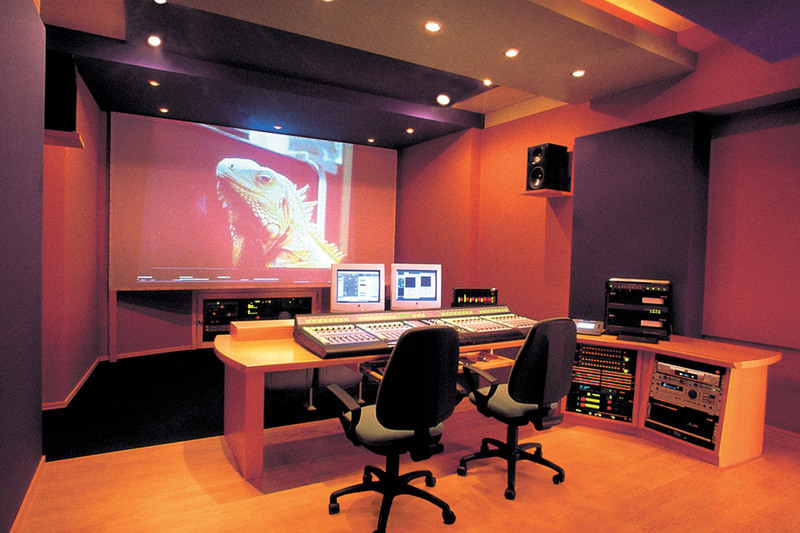 It has become the top film mixing control room in Argentina, and the first to be Dolby certified. 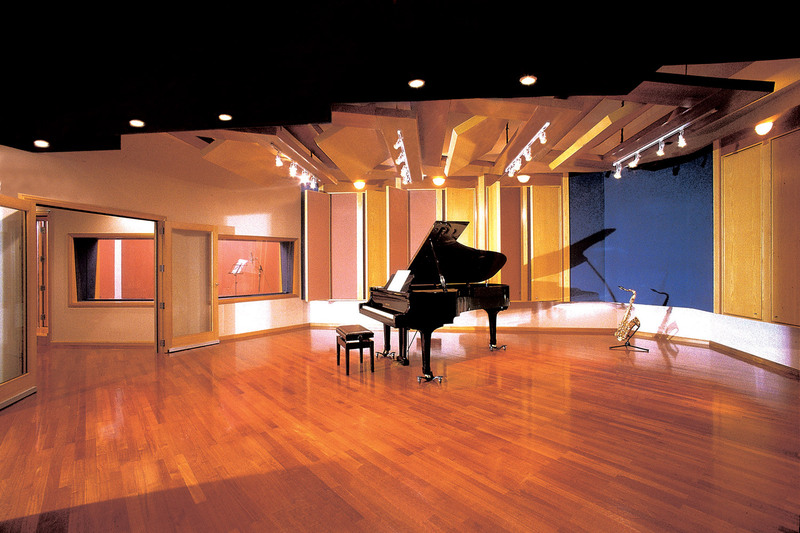 The Studio A is designed to record all kinds of music. 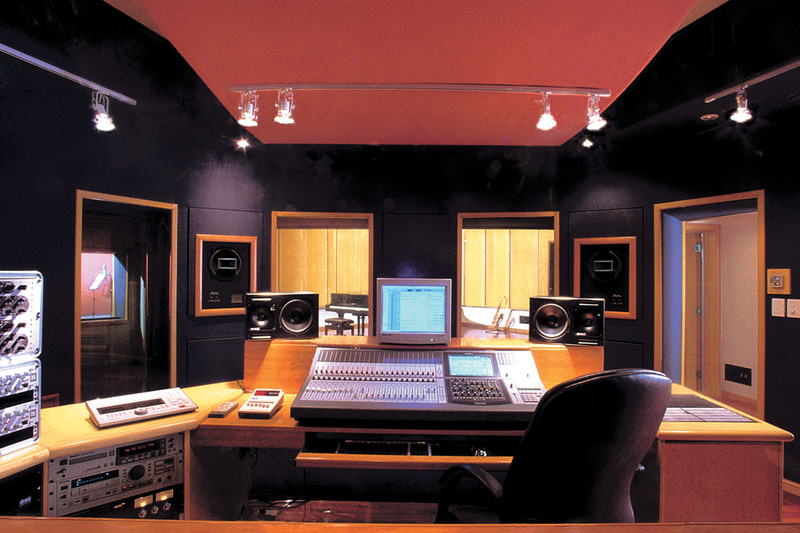 The richness of the studio room, including two isolated booths and variable acoustics, gives SoundRec a unique touch. The control room is 5.1 compatible and includes a three glass front style. Studio A is located in second floor for musician’s privacy. The Film Mixing Theater is located on the first floor and is a full 7.1 Dolby Certified Surround control room. This theater has become the preferred choice for film mixing in Argentina. The first floor also features two audio post suites that support the film mixing room, a bar, and reception. Complete Isolation between the different rooms, despite the complex program of the facility. Full room-within- room construction was achieved. 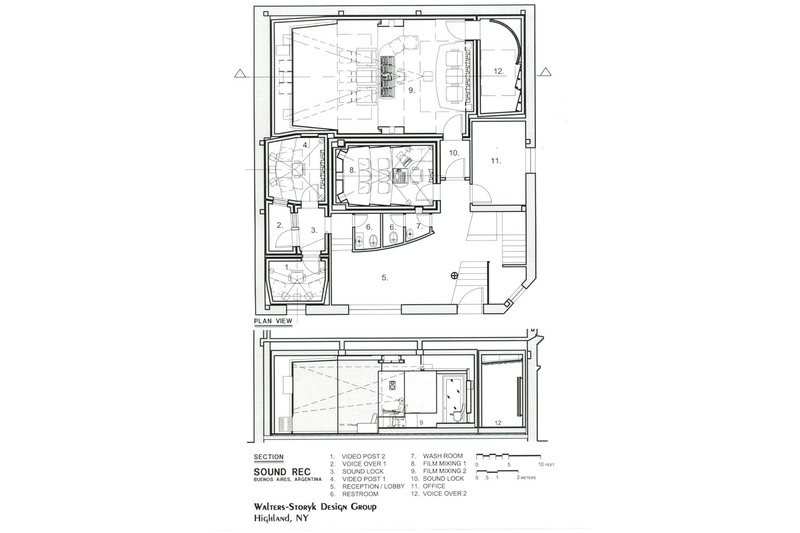 5.1 configuration in all rooms. Low frequency control in room was accomplished with membrane absorbers above the fabric ceiling treatments. Visit the Sound Development website.